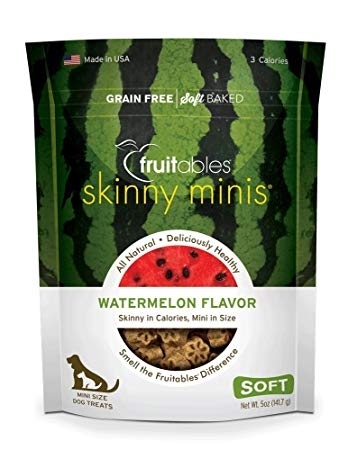 Fruitables Skinny Minis Watermelon Flavor Soft & Chewy Dog Treats combine healthy ingredients in a mouthwatering chewy treat with flavors that drive dogs wild. 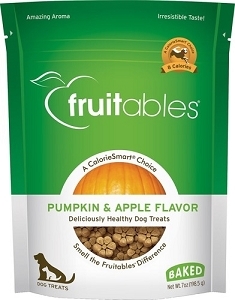 This low-calorie treat provides a guilt-free way to reward your dog with the tempting tastes of real watermelon and fresh pumpkin. Natural antioxidants and dietary fiber will keep your four-legged friend feeling great while the delicious flavor keeps him excited for snack time. Cool, refreshing and naturally sweet. 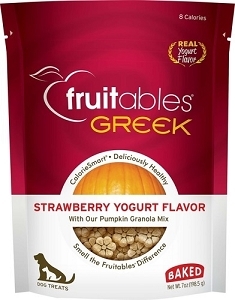 Just like the fruit, these yummy treats are fun to share and taste great year-round. 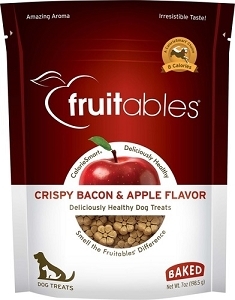 With only 3½ calories, these treats are the perfect CalorieSmart reward for your best friend. Pumpkin, Oatmeal, Brown Rice, Tapioca Starch, Vegetable Glycerin, Potatoes, Brown Sugar, Canola Oil, Watermelon Juice, Oat Fiber, Gelatin, Sunflower Lecithin, Salt, Natural Watermelon Flavor, Phosphoric Acid, Sorbic Acid (to preserve freshness), Mixed Tocopherols (to preserve freshness).